The Jewish Holiness Code Only Applied IN The Land Of Israel. 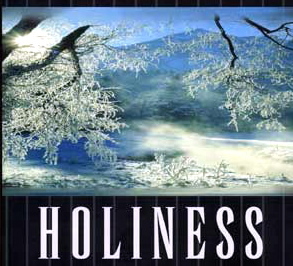 The term Holiness Code was first used by Rabbi August Klosterman in 1877, to describe Leviticus chapters 17-26, according to the Jewish Encyclopedia, because the word holy is used frequently in those chapters. 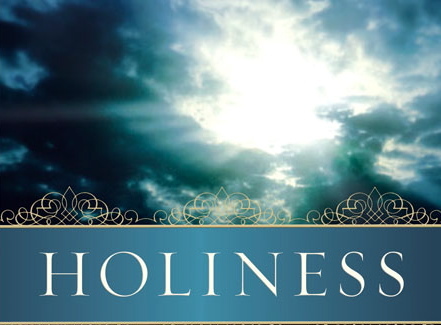 Holiness is very important to God and should be important to us. But that does not mean that Christians must live by all 613 rules of the Jewish law. Our holiness as Christians is based on the imputed righteousness of Christ, not on our ability to live sinless lives. Our holiness is a FREE gift from God, received when God imputed His righteousness to us at salvation. the imputed righteousness of Christ. Jesus kept all the rules of God's law. Because Jesus kept all the rules of God's law, in our place, we are not required to keep those rules to be right with God. Jesus did the rule keeping for us, Acts 21:20-25. Leviticus 17 to 26 contains specific rules of conduct aimed at the nation of Israel, while they were living in the land of Palestine, under the Law of Moses. Leviticus 18:22 and 20:13 are favorite verses of those who demean gays in general and gay Christians in particular. Christians who have a peculiar obsession with these verses insist that gay Christians must live under the Law of Moses but that they themselves do not have to obey the Law of Moses as it is given in Leviticus. Non-gay Christians attempt to convince gay people that the only way to be pleasing to God is to live under the rules given in Leviticus 18:22 and 20:13. 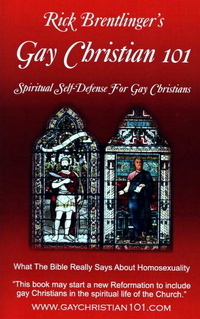 In my eBook, Gay Christian 101 - Spiritual Self-Defense For Gay Christians, I list 18 possible ways to interpret the Levitical Code, where it is alleged to deal with homosexuality. It is well worth your time to read this important eBook. love to quote to gay men and lesbians. 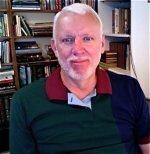 Even the leading anti-gay evangelical scholar, Dr. Robert Gagnon, of Houston Baptist University, admits that the Holiness Code in Leviticus 18:22 & 20:13 does not address the issue of gay relationships or marriage. There is no logical analogy between ancient cult prostitutes who worshiped the fertility goddess and modern gay men and lesbians. Leviticus 18:22 & 20:13 are God's prohibition of shrine prostitution, not homosexuality. That is why God placed the Holiness Code prohibition in v. 22, right after v. 21, which forbids worship of Molech. The Bible addresses shrine prostitution under the rubric of Molech worship. the Jewish Code of Holiness. 1. To whom is the Book of Leviticus is addressed? 2. With what pagan religious practices did God and Moses link the Levitical prohibitions - Lev 18:22 and 20:13? 3. Who was Molech and how is he connected to the Leviticus 18:22 and 20:13 prohibitions of male-male sexual practice? 4. 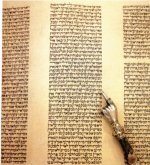 What is the historical context in which the Levitical prohibitions were given? 5. Did the the Law of Moses apply to all people everywhere, from the Creation of Adam to Eternity or does God limit its application to specific people in a specific land, at a specific time in history? 6. What is an abomination in the Bible? Expanded answers to these questions are found in the eBook, Gay Christian 101 - Spiritual Self-Defense For Gay Christians, by Rick Brentlinger. Discover why readers LOVE our eBook! Does the New Testament ever command Christians to keep the Saturday Sabbath? From the Holiness Code, Return To Gay Christian 101.com Home Page.